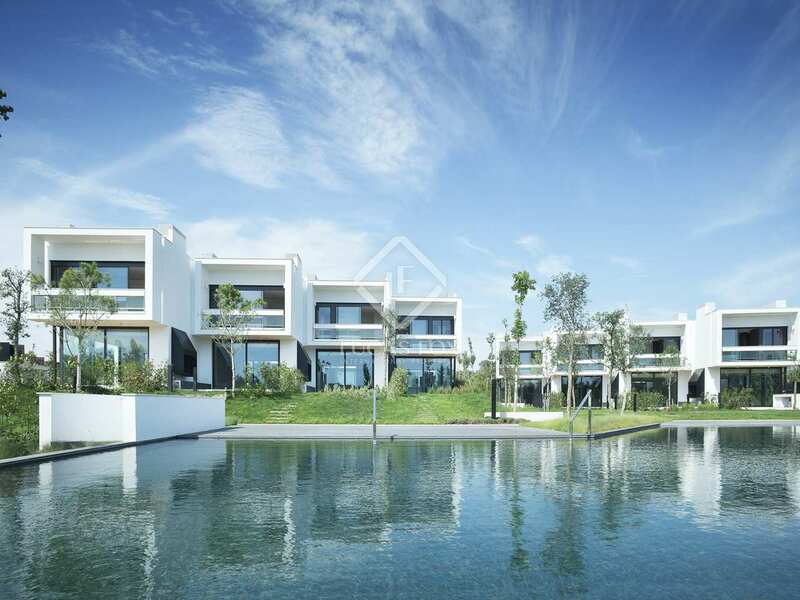 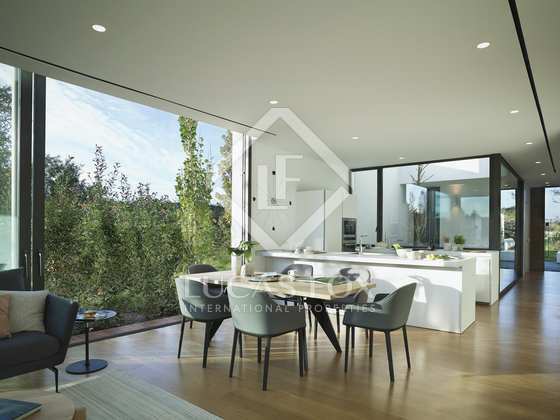 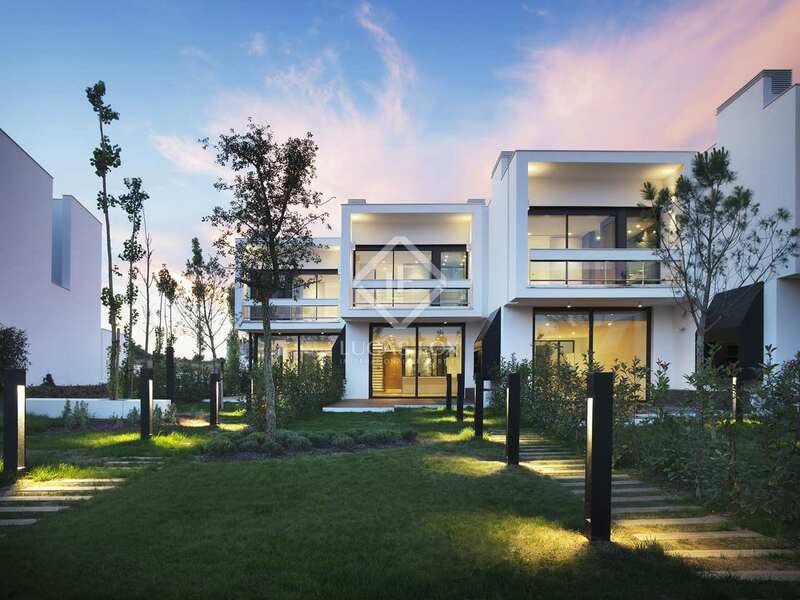 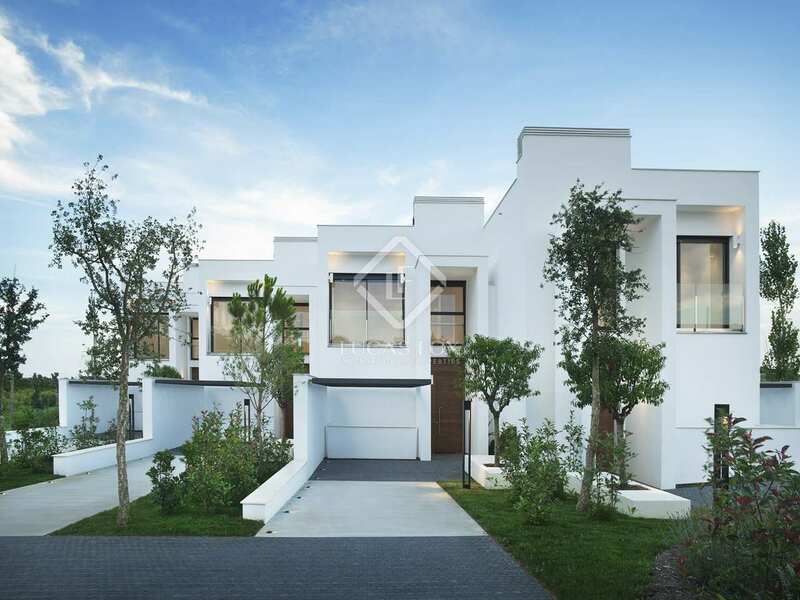 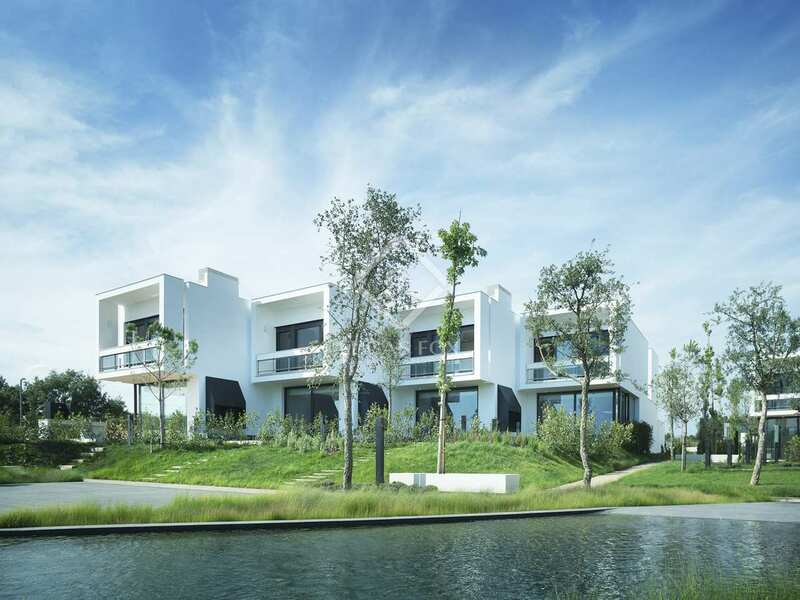 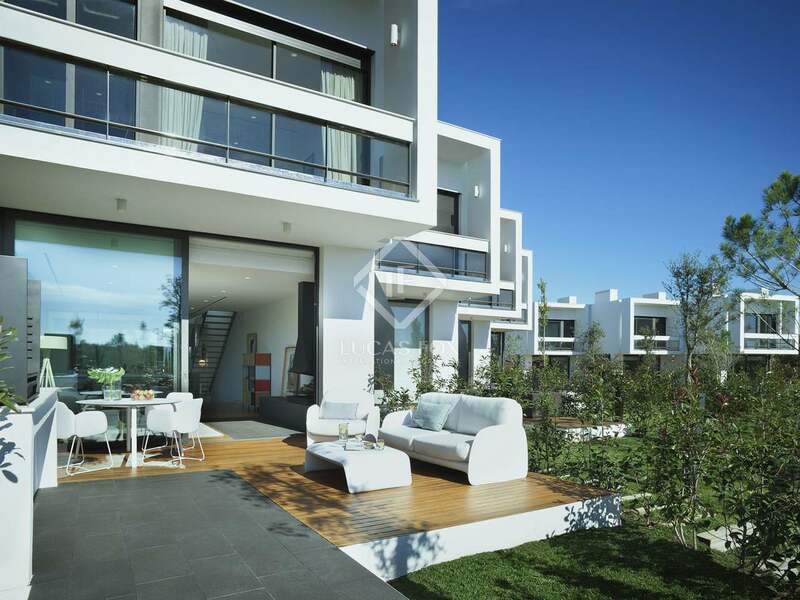 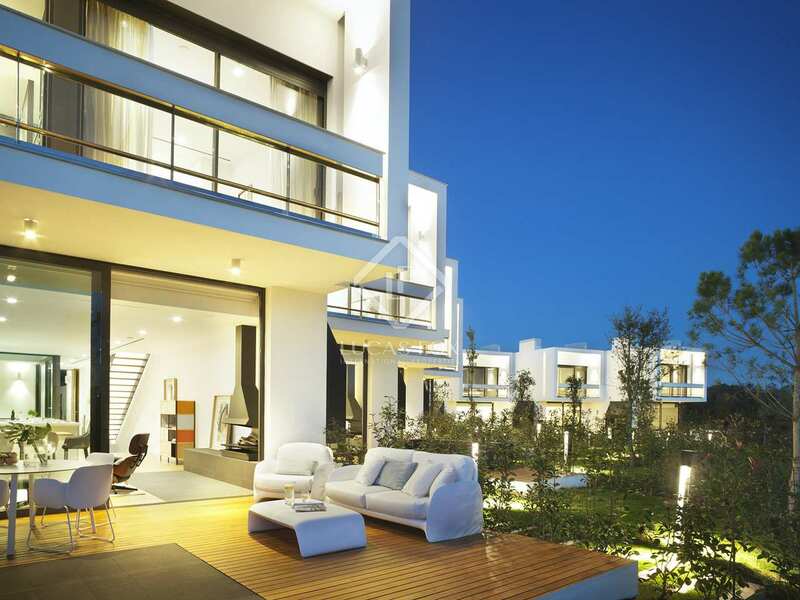 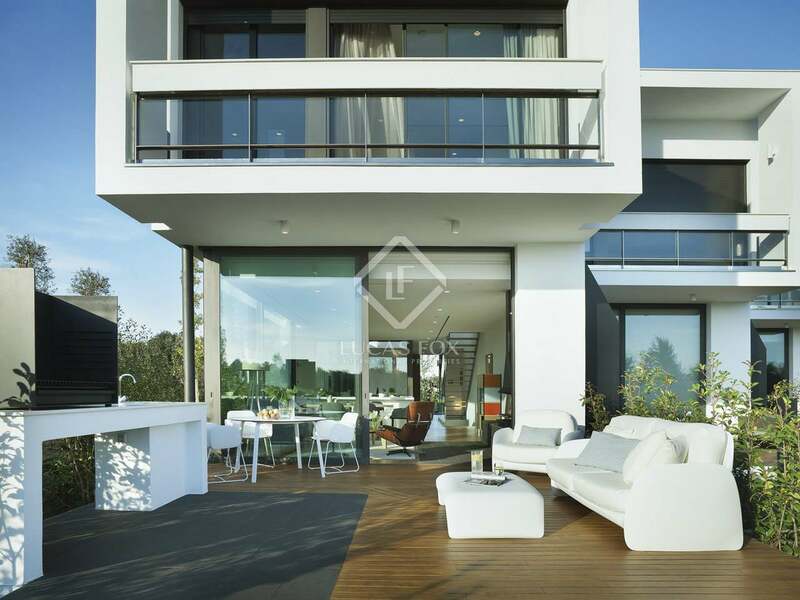 Designer townhouses with a communal garden and pool located in front of a golf resort with charming views of the green. 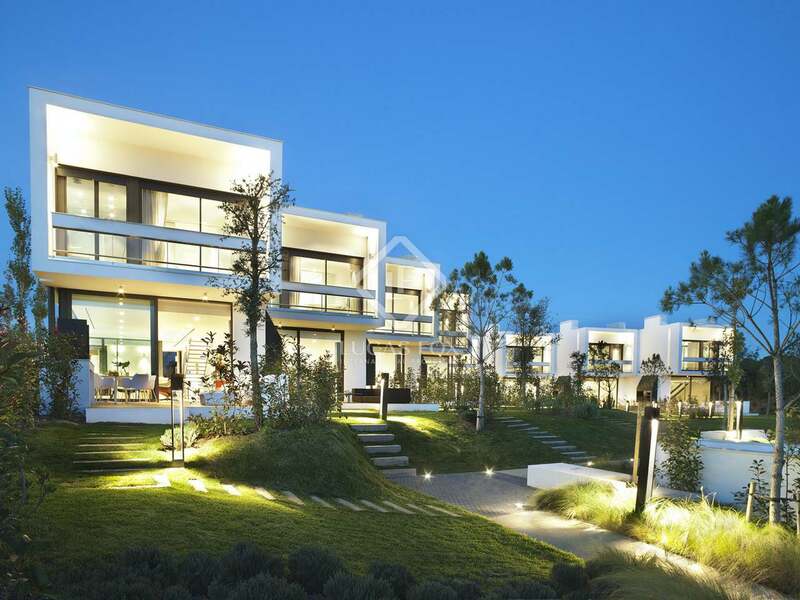 Facing the 15th fairway of the Tour Course in the Golf Resort we find 8 new beautiful family homes. 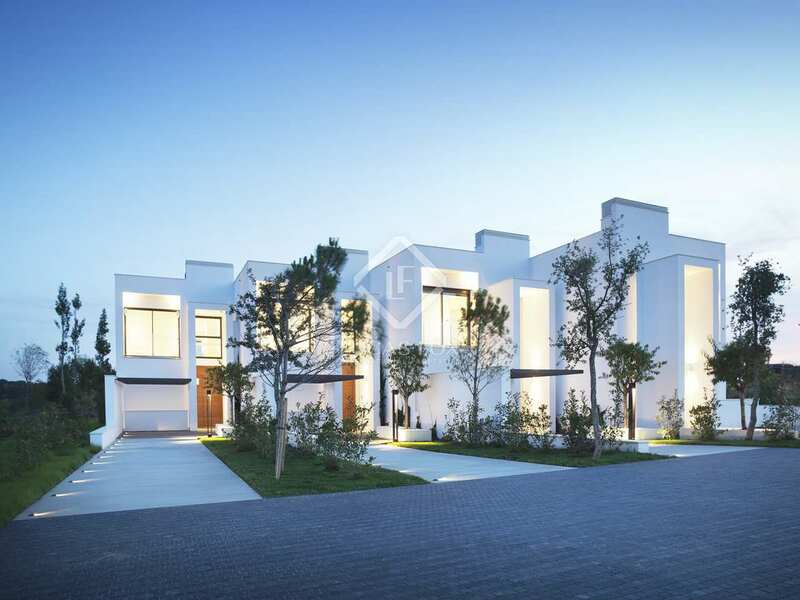 Two sets of 4 houses are organised in a V shape around a pleasant communal garden and pool with large terraces to the rear of the properties, ensuring privacy and offering magnificent golf views. 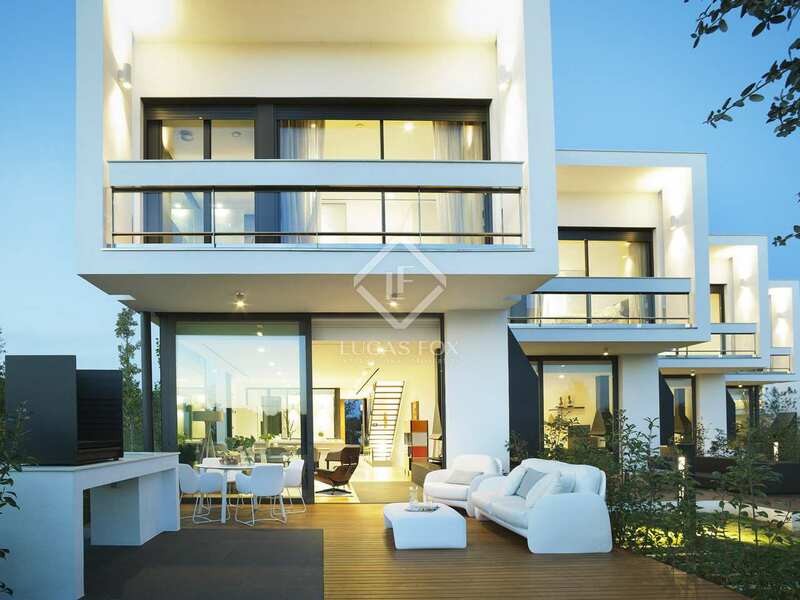 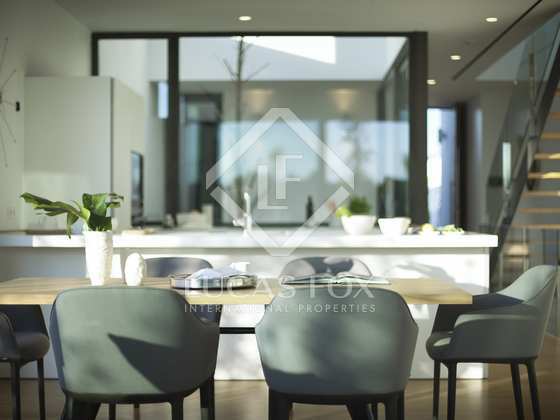 The houses measure approximately 280 m² and are split over 2 levels plus a lower ground floor with natural light and a 90 m² space for use as a games room, gym or wine cellar for example. The open-plan living and dining area features an attractive fireplace followed by a modern Bulthaup kitchen with Neff appliances. From the living room we have access to a terrace with a barbecue, blending seamlessly into the landscaped exteriors with a communal infinity pool with beach access and views of the golf course in the background. 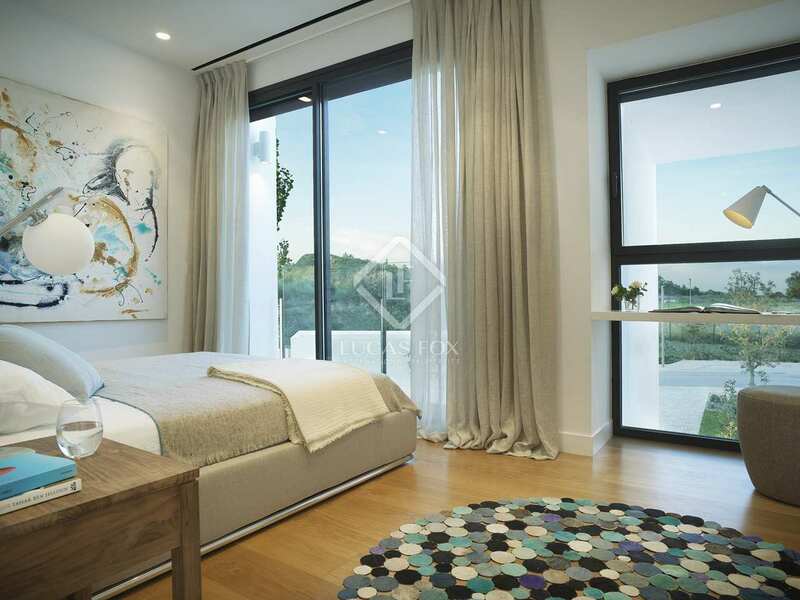 3 bedrooms can be found on the upper floor, one of which is the master suite with a dressing room and bathroom. 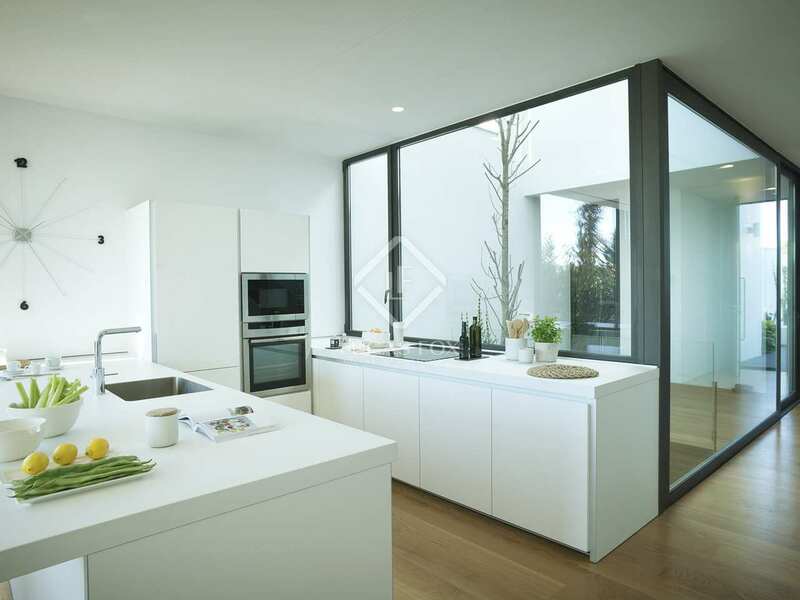 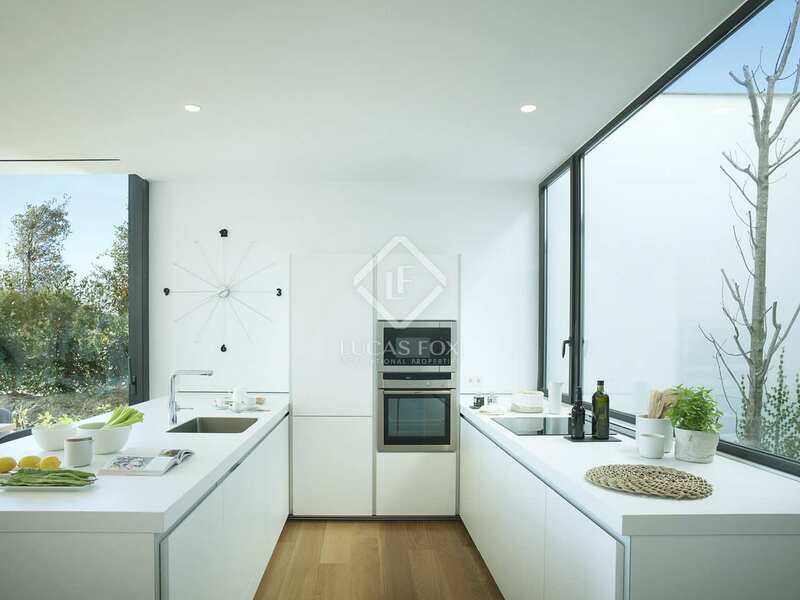 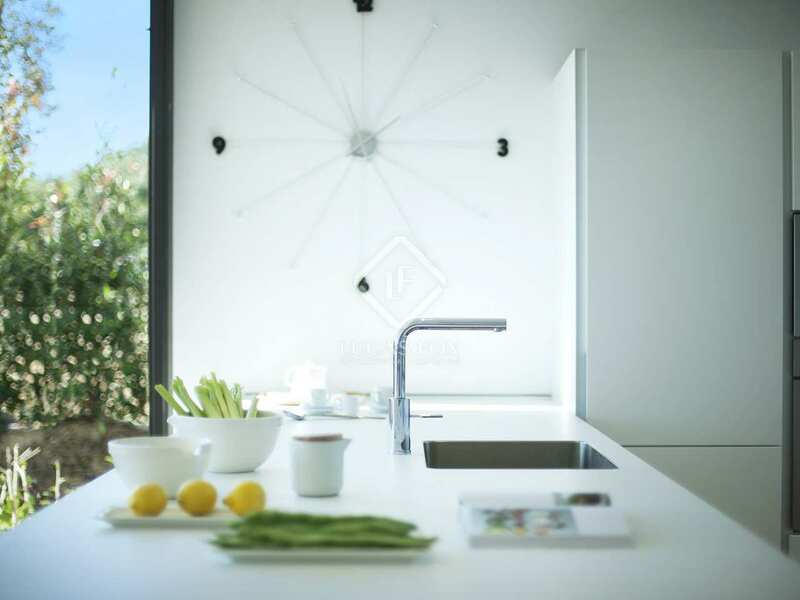 Additional features include air conditioning and underfloor central heating and 2 parking spaces for each house. 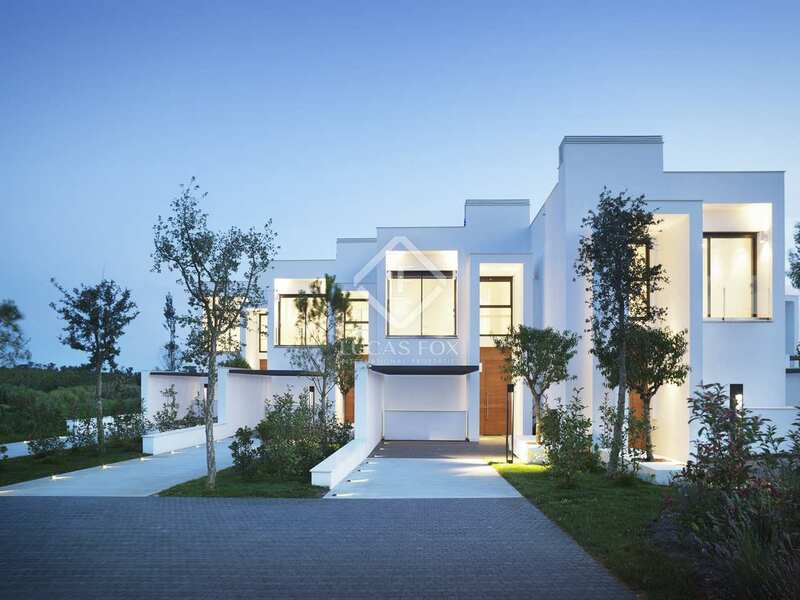 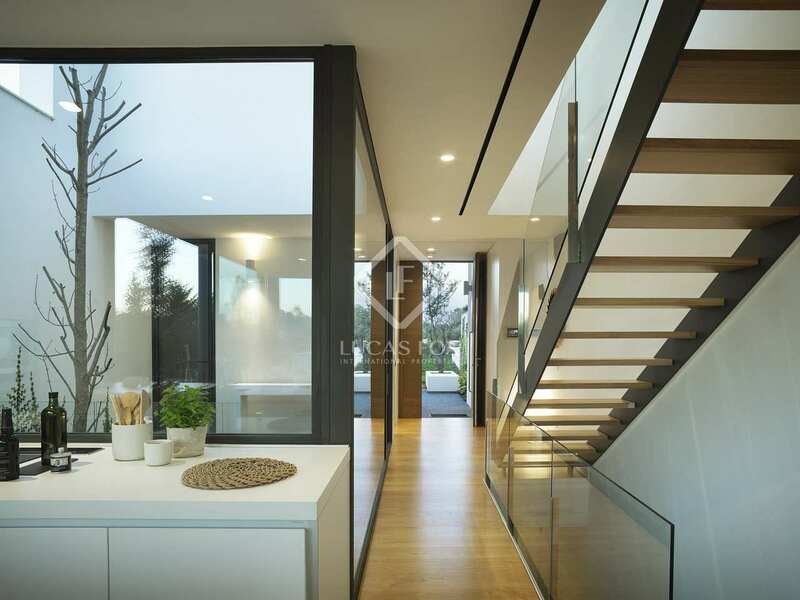 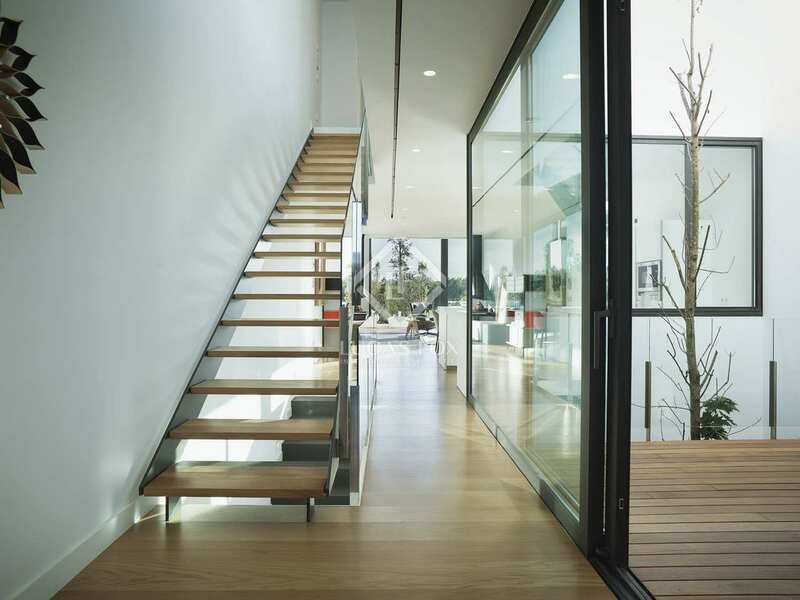 A large atrium beginning at the basement level provides natural light, ventilation and a unique feature to these lovely golf homes. 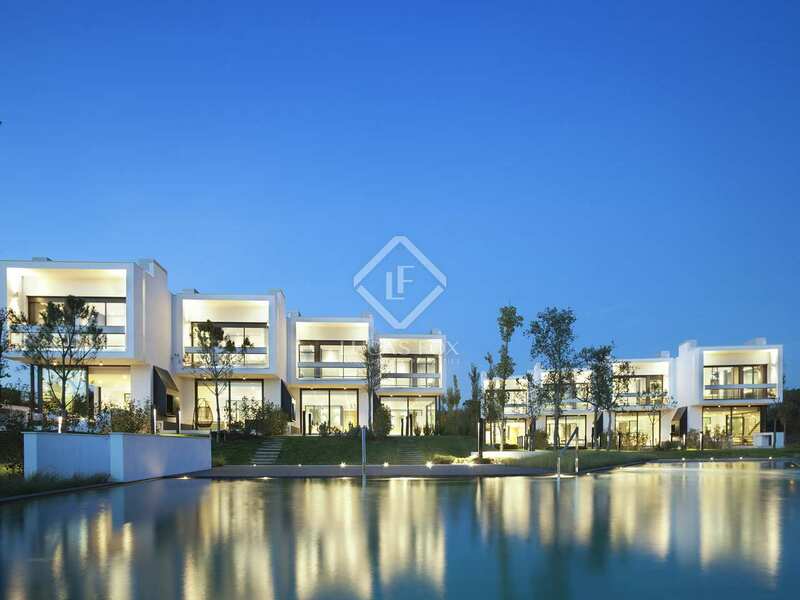 Properties located facing the Golf Resort which is just 4km kilometres from the picturesque town of Caldes de Malavella, 25km from the nearest beaches of the Costa Brava and only 18km from the lovely city of Girona and 6.5km from its international airport.